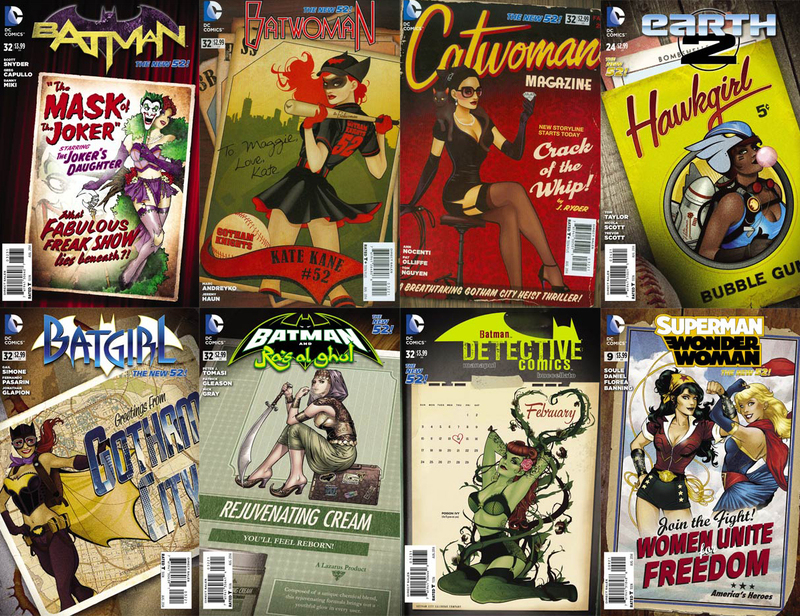 Midtown’s DC Bombshells Cover Guide – Round 2! Midtown Comics is excited to present another guide to the recently released DC Comics Bombshells Covers – Round 2! Follow this guide and complete your collection of these rare comics while they’re still in stores! The crew sit down with legendary DC writer Paul Levitz and chat about his new book Doctor Fate and how he put it together. We also discuss our top picks of the week! 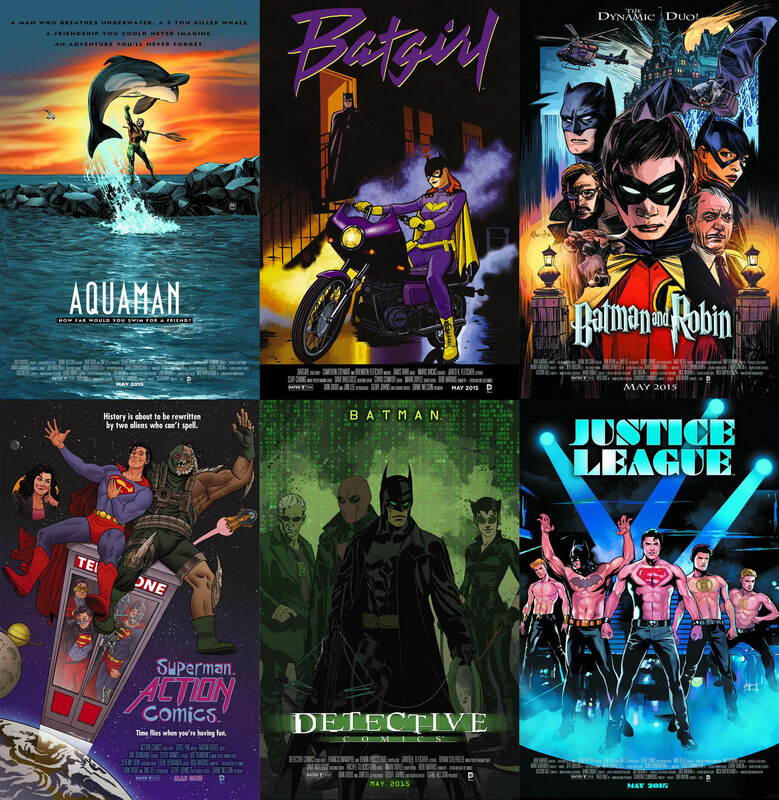 DC Comics has announced their newest theme variants for March – Movie Poster Variants! We’re guessing you’ve seen some of these by now, which feature covers inspired by classic movie posters such as North by Northwest, 2001: A Space Odyssey, The Matrix, and more! You can view all of the variant covers below and find the entire release list here! 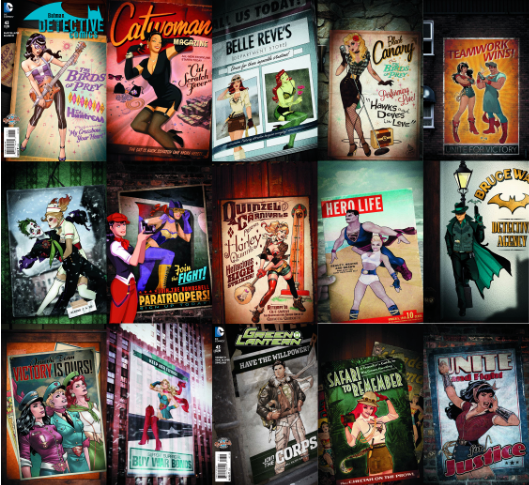 Win All 21 DC Comics Bombshells Covers! To earn additional entries and increase your chances of winning, you can tweet, “I entered to win all 21 of the @DCComics #Bombshells Covers from @MidtownComics! bit.ly/1tOIvTI ”. You can then submit the URL of your tweet to Rafflecopter. Please note, that you can only tweet this once per day. Midtown Comics is excited to present a guide to the recently released DC Comics Bombshells Covers. Follow this guide and complete your collection of these rare comics while they’re still in stores! John Romita Jr. Signing Superman #32 at Midtown Comics Downtown! In honor of John Romita, Jr.’s first-ever work for DC Comics on Superman #32, Midtown Comics is excited to announce a signing at our Downtown location on Thursday, July 17th! “THE MAN OF TOMORROW” chapter 1! A NEW ERA for SUPERMAN begins as Geoff Johns takes the reigns – and he’s joined by the legendary super-talent of John Romita, Jr. in his first-ever work for DC Comics as they introduce Ulysses, the Man of Tomorrow, into the Man of Steel’s life. This strange visitor shares many of Kal-El’s experiences, including having been rocketed from a world with no future. Prepare yourself for a run full of new heroes, new villains and new mysteries! Plus, Perry White offers Clark a chance to return to The Daily Planet! Midtown Comics will also be selling a number of incentive covers on the day of the signing!